No credit cards required. No obligations. No hassles. Our all new online course is designed to ensure you pass your Licensing Exam on the first try. 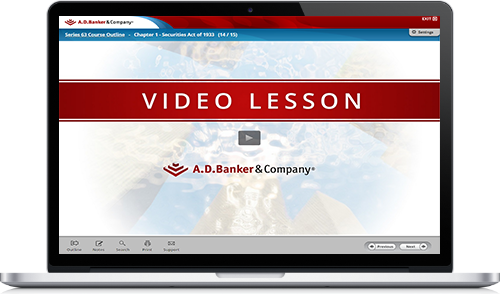 This trial is available for our Life and Health, Property and Casualty, Securities Industry Essentials, Series 6, Series 63, and Series 65 online courses. Your trial course will grant 7-days access to the first chapter of the course and all progress is kept when you choose to purchase the full course. With streamlined content and video lessons, you will master the concepts required to pass!